The Iron Rod: Inspired by an Aqueduct in Rochester? As discussed in my previous post, RT's response to my defense of the evidence for Lehi's Trail points to a new suggestion from Rick Grunder that perhaps the great and spacious building and the iron rod of Lehi's dream were inspired by Joseph's visit to Rochester looking for a printer for the Book of Mormon. In this scenario, Joseph hasn't written most of the beginning 143 pages (current printing) of the Book of Mormon. He is so impressed by the four stories of the Reynolds Arcade in Rochester, complete with a river a block or two away and its aqueduct with an iron railing, that he turns it into a major theme in Lehi's dream as he dictates the rest of the Book of Mormon in the remaining days of June. This scenario probably can't work, though, for it appears that Joseph's trip to Rochester was in July, after he had completed the Book of Mormon. Further, Eldon Watson's detailed chronology of the Book of Mormon process puts the drafting of 1 Nephi 8 near the beginning of June, before any possibility of Joseph's trip to Rochester. But there is some uncertainty and in theory it is still possible for Rochester to have influenced Joseph. The problem with only looking at modern sources to explain the Book of Mormon is that it leaves one blind to the abundant evidence of ancient origins. A fair evaluation should consider the Book of Mormon in the context it offers and determine if it is plausible and weight how the evidence for ancient origins compares to other theories. In my view, the strength of the parallel relates to the conjunction of a long rod of iron and narrow path, a large swift flowing river and nearby falls ("terrible gulf"), and an exceptionally large and lavish building nearby. The appearance of a rod of iron in this setting is particularly important, since it is clearly not an ancient motif. There were no rods of iron set next to rivers at the time of Nephi in the Old World. I have always wondered where the notion could have come from, and so its presence here in a setting highly evocative of Lehi's dream and at a place JS is known to have visited is difficult to ignore. Actually, the term "iron rod" occurs in the KJV Old Testament in Psalm 2:9: "Thou shalt break them with a rod of iron; thou shalt dash them in pieces like a potter's vessel." It's not just a quirky KJV thing. The NIV also has "iron rod" while the NASB has "rod of iron." Jeremiah 1:18 also speaks of an iron pillar: "I have made thee this day a defenced city, and an iron pillar, and brasen walls against the whole land...." The brass walls coupled with iron pillars (rodlike elements?) defend the city. The Hebrew word translated here as "pillar" can also be a platform or scaffold, according to Gesenius (see BlueLetterBible.org), so could this include a fencelike function? Probably not. However, structural iron elements should not be unrecognizable to Lehi, including iron structures used to protect people. Updated paragraph, 5/31/2016: The KJV also twice mentions iron bars in Psalm 107:16 and Isaiah 45:2. The Hebrew word for "bars" is bĕriyach (בְּרִיחַ), Strong's H1280, which according to Gesenius' Hebrew-Chaldee Lexicon (see the entry for Strong's H1280 at BlueLetterBible.org), can mean a crossbeam or bar used to connect wooden boards of the tabernacle or can be a bolt or bar for shutting doors or gates. Here we have an iron beam-like or rod-like object that appears to be horizontal, again suggesting that iron horizontal objects serving some kind of structural or barrier function would not be inconceivable to Lehi. Interestingly, in Isaiah 45:2, the iron bars are mentioned after stating that the Lord would make that which was crooked (crooked paths, apparently) straight. But I agree with RT in that I'm not aware of any ancient rivers in the Middle East that had iron rods along them, but that does not mean it could not have been an intelligible concept in a dream nor does it require that we look to modern sources for the concept of an iron rod. Given the presence of iron in Lehi's day and specifically of reference to an iron rod in Psalm 2, as well as other structural iron features in the Old Testament, iron in the form of a rod appearing in nothing more challenging than an archaeologically benign dream should not be overly puzzling. How does a rod equal the word of God? Isn't that rather odd? Here language is used that echoes Nephi in several ways. In addition laying "hold" on the word of God, like the iron rod, we learn that it serves to lead one in a straight course to eternal life (like the tree of life) and to avoid the "gulf of misery" that Nephi also speaks of (2 Nephi 1:13, possibly building on the "terrible gulf" of Lehi's dream in 1 Nephi 12:18 and the "awful gulf" of 1 Nephi 15:28; cf. Alma 26:20 and Hel. 5:12). The dangerous journey to eternal life is made possible if one will "lay hold upon" the word of God and pursue its straight and narrow course. The iron rod theme seems to have been part of background in Helaman 3, and this not readily explained by something Joseph saw well after dictating Helaman. But where does this concept come from? A random creation from Joseph inspired by some other modern scene in Rochester or elsewhere? The use of a rod to represent words or speech is found in Proverbs 10:13 and 14:3. In other passages, it refers specifically to the word of God. In Isaiah 30:31, “the voice of the Lord” is contrasted with the rod of the Assyrians. In a few passages, the rod is compared to a covenant with God which, like a rod, can be broken (Ezekiel 20:37; Zechariah 11:10, 14). Micah wrote, “The Lord’s voice crieth unto the city, and the man of wisdom shall see thy name: hear ye the rod, and who hath appointed it” (Micah 6:9). Isaiah wrote of the Messiah, “But with righteousness shall he judge the poor, and reprove with equity for the meek of the earth: and he shall smite the earth with the rod of his mouth, and with the breath of his lips shall he slay the wicked” (Isaiah 11:4). A similar thought, obviously based on the Isaiah passage, is expressed in a modern revelation in which the Lord threatens to punish the unrepentant with “the rod of my mouth” (D&C 19:15). Further support for the antiquity of Nephi's imagery is detectable in his own comparison of the word to a rod, a comparison that may involve wordplay with the Egyptian term for "word" and "rod." Although we have the Book of Mormon text only in translation and do not know the original wording of the text, we can use our knowledge of the languages that the Nephite writers said they used—Hebrew and Egyptian (1 Nephi 1:2; Mormon 9:32—33) —to propose reasonable reconstructions. We note that the Egyptian word mdw means not only "a staff [or] rod"2 but also "to speak" a "word. "3 The derived word md.t, or mt.t, probably pronounced *mateh in Lehi's day, was common in the Egyptian dialect of that time and would have sounded very much like a common Hebrew word for rod or staff, matteh.4 It is also very interesting that the expression mdw-ntr was a technical term for a divine revelation, literally the "the word of God [or] divine decree. "5 The phrase mdw-ntr also denoted "sacred writings,"6 what we would call scriptures, as well as the "written characters [or] script"7 in which these sacred writings were written. Nephi's imagery itself, along with its possible Egyptian language wordplay, further attests the antiquity of the Book of Mormon. Certainly Joseph Smith in 1829 could not have known that mdw meant both "rod" and "word." However, Nephi, in the early sixth century BC likely had a good understanding of such nuances, and he may have employed them as part of a powerful object lesson for his brothers. Like the white fruit of Lehi's dream, which impressed non-LDS scholar Margaret Barker with its ancient connections to documents Joseph Smith could not have known about ("White Fruit and a Guiding Rod" in The Worlds of Joseph Smith (Provo, BYU Press: 2006)), the ancient Semitic connections around the iron rod symbolism in the Book of Mormon are also rooted in antiquity and deserve more consideration than simply ascribing it to inspiration from a common modern setting (building, river, railing, all in the same city, no less). It requires more explanation than just assuming that the writings of Nephi must have been made up on the fly, inspired by last-minute ideas Joseph picked up a few days before completing the Book of Mormon from a his late visit to Rochester, a visit so late that the Book of Mormon was probably already finished. Given the evidence from the text of the Book of Mormon, that theory of fabrication is a pipe dream, and if iron, then a heavily corroded iron pipe dream, far more fanciful, far more modern, and far less enduring than Lehi's. Update, 5/31/2016: Criticism about the rod of iron as an anachronistic structure to me seems to draw upon our modern views of iron railings. We assume that the rod of iron is a nicely anchored, stationary railing made according to modern standards, nicely cemented into place with supports ever 30 or so centimeters. But the rod of iron in Isaiah 11:4 is used for smiting, a rather dynamic act, and when Mormon appears to refer to the iron rod and other themes from Lehi's dream in Helaman 3:29-30, he urges us to "lay hold upon the word of God which is quick and powerful, which shall divide asunder all the cunning and the snares and the wiles of the devil, and lead the man of Christ in a strait [straight] and narrow course across the everlasting gulf of misery..." The word, which we must hold, is "quick"--alive, active--and can "divide" (perhaps chop up, whack, or smite) the artifices of the Adversary. This suggests motion, the kind of motion you might get from a rod that is being wielded by a divine agent. In leading us to salvation (or to the tree of life), perhaps its action is also more than merely a passive support. Perhaps the iron rod is pulling us or actively moving us in the right direction. It actively wrecks Satan's deceitful artifices while bringing us, perhaps vigorously, to our goal. Well, it's a dream. We're not sure what he saw. But importing modern images into the dream and then declaring that the dream seems too modern may be a bit fallacious. The possibility of the rod playing an active, dynamic role is not just Mormon's idea in Helaman 3. Nephi, in explaining the significance of the rod of iron to his brothers, states that "it was the word of God, and whose would hearken unto the word of God, and would hold fast unto it, they would never perish; neither could the temptations and the fiery darts of the adversary overpower them unto blindness, to lead them away to destruction" (1 Nephi 15:24). Thus, as Tvedtnes has noted, "This makes the rod both a source of support (as the word of God) and a weapon of defense against the devil’s 'fiery darts'...." Nephi's concept, nicely built into Helaman 3, suggests the role of the iron rod is more than just a static railing. If the rod Lehi saw was an exaggerated iron scepter, a symbol of God's power and also of the word of God, building on the clever wordplay suggested by Matthew Bowen above, then in the dream it could have served as a barrier/railing but also as a dynamic tool to protect people and draw them home. Lehi doesn't say it was anchored, just that "it extended along the bank of the river and led to the tree" (1 Nephi 8:19). There was a path along the rod of iron (1 Nephi 18:20) and since a path is static, the rod may have been, but this is not necessary. The people who reached the tree of life "caught hold of the end of the rod of iron" and then pressed forward, "clinging to the rod or iron" (1 Nephi 8:24). So it had a finite length, and the key was grabbing the end of it and holding on. That makes sense for a static structure, but need not be, especially in a dream. What if we compare the rod of iron with another metallic symbol of power, a sword? As we can see in Vol. 4 of Skousen's online Critical Text of the Book of Mormon, 1 Nephi 12:18, which currently has "the word of the justice of the Eternal God" serving to "divide" the wicked from the blessings of eternal life, but Skousen shows that this was a mistake and it should be the "sword of the justice of the Eternal God" that is doing the dividing, which is more logical and consistent with ancient usage and with the dividing action in Hel. 3:29, though there it is the word of God carrying out that action. As Tvedtnes has pointed out, rods, swords, and the word of God may all be connected. Another connection occurs in 1 Nephi 15:30, when Nephi explains "that our father also saw that the justice of God did also divide the wicked from the righteous; and the brightness thereof was like unto the brightness of a flaming fire,..." The bright, flaming justice of God, a sword (as originally in 1 Nephi 12:8) that divides or separates the wicked from the tree of life, here appears to draw upon the image of the cherubim and flaming sword of Genesis 3:24, placed there by God "to keep the way of the tree of life." The "way" is derek, Strong's H1870, which means road, path, etc. I think Lehi's dream builds on that concept nicely, and we Latter-day Saints may have overlooked this connection to Genesis. We don't know the details of how the dream was presented and if Lehi saw a rod and a sword at the same time, far apart or somehow related, but his dream and Nephi's version were fairly sweeping with many features and scenes. One of the most interesting aspects of the dream is the relationship between its stages and the three stages of the Jewish temple. This goes far beyond anything Joseph could have concocted, in my opinion, and nothing in Rochester would have helped here. See my first post on this, "A Temple Gone Dark." There's much more to the iron rod than meets the modern eye, and much more to the Book of Mormon's use of that theme than Joseph would have gleaned from a quick glance at a Rochester aqueduct in his frantic final moments of dictating the beginning of the Book of Mormon, a beginning that is interwoven in many ways with the rest of the already-dictated text. The alleged weakness of an anachronistic iron rod structure in Lehi's dream may actually be a strength pointing to sophisticated usage drawing upon ancient concepts and even Semitic wordplays. The theory that Joseph came up with Lehi's dream almost as an afterthought in the last few hours of dictating the Book of Mormon just doesn't work. My two recent articles on Lehi's Trail at The Interpreter ("Joseph and the Amazing Technicolor Dream Map, Part 1" and Part 2) have been noted and responded to by RT of the Faith Promoting Rumor blog, whose critiques were the primary topic of my work. He points out that my work is rife with methodological and other flaws, though the specific flaws and failed arguments are not yet identified. Further, regarding my responses in Part I to the dozens of issues he has thrown out, he complains that I have taken a shotgun approach. I'm not sure what words best describes the action of pulling out the scattered pellets delivered from a shotgun blast, but perhaps "anti-shotgun approach" would be more appropriate. In spite of the diverse topics that require treatment, such as ancient sacrificial practices, the use of camels in the ancient Near East, the alleged blunder of mentioning the "fountain of the Red Sea," and the details of the terrain around the candidate for Bountiful that handily and surprisingly refutes RT's claim that a place like Bountiful could not possibly have been uninhabited, there are some key focus areas in the two-part article that merit more than a casual dismissal, in my opinion. I was expecting more substance. I thought there were a few interesting findings and possibly new resolutions to past problems worthy of comment. He does offer the complaint that I frequently point to cited work of others instead of developing several already treated issues from the beginning, though does not specify where my reliance on previous work is inadequate. The two-part document was already on the rather lengthy side, so I hope my efforts to reduce unnecessary redevelopment of past work can be forgiven. Naturally, RT was also not pleased by my lack of respect for some branches of modern biblical scholarship that claim the Bible has little historical value and is largely a pious fraud. That does not come as a surprise, though the extent of his focus on that one issue somewhat surprised me, as if no sane person could agree with scholars like Kenneth Kitchen who dare to challenge the biblical minimalists directly and bluntly. The implicit appeal to authority on this issue does not seem like a convincing response to me, but since I'm not a biblical scholar worthy of engagement on the issues, I suppose all that needs to be done is to assert that his original case still stands, as he does. This shows some progress, perhaps, compared to his previous essay on Nahom (part 3) that approvingly quoted Philip Jenkins: "The map evidence makes it virtually certain that Smith encountered and appropriated such a reference, and added the name as local color in the Book of Mormon." He at least recognizes that access to a Nahom-related map may not have been so likely, but still seems persuaded that the Book of Mormon ultimately depends on a map through some means. But one thing in his response greatly surprised me: RT's approval of a newly proposed modern source as inspiration for a key portion of the Book of Mormon, namely, the Reynolds Arcade in Rochester, New York as the inspiration for Lehi's vision featuring the great and spacious building. This creative idea comes from Rick Grunder, a master of finding creative parallels for Book of Mormon elements (see the review of his work by Ben McGuire, "Finding Parallels: Some Cautions and Criticisms, Part One" and "Part Two" at The Interpreter). Grunder views the Reynolds Arcade parallel as the crowning achievement of his Mormon studies work, one that should convince Mormons that the Book of Mormon is rooted in modernity. Grunder's crowning discovery from his decades of research to explore, rather exclusively, the purported modern origins of the Book of Mormon is detailed in "The Dream of the Iron Rod," PDF file taken from Entry 350, "Reynolds Arcade (Rochester, New York)," in Mormon Parallels: A Bibliographic Source, 2nd ed. (Lafayette, New York: Rick Grunder ‐ Books, 2014), pp. 1367‐1431; available at http://www.rickgrunder.com/parallels/mp350.pdf. The great and spacious Reynolds Arcade in Rochester. The observatory on top was missing at the time. According to Grunder, as Joseph neared the end of his translation work of the Book of Mormon in June 1829, near the beginning of the translation of the small plates of Nephi, he got the idea for the "great and spacious building" in Lehi's dream when he made a trip to Rochester to look for a printer of the nearly completed manuscript. Inspired by a large building in Rochester, the Reynolds Arcade, towering at four-and-a-half stories, and just a block or so from an iron railing on an aqueduct that crossed the local Genesee River, Joseph thought of an iron rod and a "great and spacious building" that plays such a significant role in 1 Nephi. Joseph then quickly added that material to his dictated translation and voila, 1 Nephi was written, followed by the rest of the small plates material in short order. Grunder makes an interesting case. There was an iron barrier, a fence or guardrail, running along the impressive aqueduct of the Erie Canal that crosses the Genesee River in Rochester. The iron fence and the aqueduct were not far from the original Reynolds Arcade, built in 1828, which in Grunder's view is a great and spacious building--or rather, the great and spacious building that inspired Joseph. It was a four-and-a-half story building with a unique open interior like modern malls. It had shops on the first and second floors, including a popular post office. While four stories may not seem tall enough to qualify as Lehi's giant building, a small but lofty structure on the top went well above the four-story bulk of the building, extending as high as 90 feet. So if Joseph were the author of the Book of Mormon, he could have seen that building and been wowed. Then he could have seen the aqueduct and got the idea of an iron rod. The Rochester iron rod is on an aqueduct going across the Genesee river, not running along the bank of the river, as in Lehi's dream, and the river does not divide the wicked in the great and spacious building from the rod of iron in Lehi's dream, but yes, there was an iron railing and a river and a rather tall building for upstate New York standards. And Joseph could have seen all that in his June(?) 1829 trip to Rochester, where he tried to find a printer to print the Book of Mormon. Therefore, if the visit was early enough in June, it would be theoretically possible for Joseph to have used the Reynolds Arcade as inspiration for the early chapters of 1 Nephi in his remaining days of translation work, generally understood to have been completed by July 1. Grunder is ecstatic with this find. RT is intrigued by the iron rod + Reynolds Arcade theory, and notes that he has always wondered where Joseph got the iron rod idea. Better still, RT hopefully hints that the Arcade housed "a library, rare maps, and periodicals." Could the Arcade solve the mystery of the Dream Map, offering the source to the rare maps of Arabia that Joseph would need to complete the Book of Mormon? In a way, it's a beautiful theory. But did the Arcade house rare maps that Joseph could have accessed? What is the evidence for this? "Under its [the Arcade's] roof," reported New York City's Monthly Repository magazine in 1830, "are six stores, an extensive boarding house, the post office, printing and exchange offices, the Atheneum, justices' and lawyers' offices, &c. The Atheneum is very creditable to the place, having a very valuable library, maps, the periodicals and newspapers from various parts." (Monthly Repository 1:5, cited further above, pp. 123-24). Maps, perhaps. But where are the "rare maps" of RT? And where are the rare maps of Arabia that might have inspired Joseph? No evidence that I have found supports that wishful notion. But it's a beautiful theory, nonetheless. RT's implicit "Grunder on steroids" theory, where "rare maps" at the Arcade might have helped Joseph, needs to be considered and perhaps fleshed out a bit. I think it goes something like this (warning: unnamed methodological flaws and rhetorical posturing follow): Joseph, looking for a printer because he's almost ready to print his book, stumbles across a building that inspires a whole new section for the crucial beginning of the book that he hasn't exactly written yet. There will be a mysterious vision with a tall building, an iron rod, a river! Maybe a post office and a bar. No, scrap that. But we'll import a tree with genuine New York "fruit country" fruit. Only white. And the story of the vision will take place during a voyage through--say, look at that rare map here in the Athenaeum--Arabia! Let's see, how to get from Jerusalem to the ocean. Ah, there it is! South-southwest along the Red Sea, then stop at Nehem/Nehhm for "local color," and then due east across the desert to, um, Bountiful (OK, that's not on the map, but a guy can make a lucky guess now and then, right?). Grab the hat, time to dictate a few more pages to a scribe, and then to press! Just in the nick of time. To flesh out the theory, it helps to know a little more about the Athenaeum. According to RIT's "History of RIT" page, it was founded in 1829 by Colonel Nathaniel Rochester and other Rochester community leaders “for the purpose of cultivating and promoting literature, science, and the arts.” It was housed in the Reynolds Arcade, and had a book collection that would grow over the years until 1847, when the Athenaeum merged with the Mechanics Literary Association, founded in 1836 by William A. Reynolds (son of Abelard Reynolds), to form the Rochester Athenaeum and Mechanics Association. The resulting merged library would have over 8,000 volumes, making it a truly significant library. It would be a major part of the roots of RIT (not to be confused with RT). When it was in the Reynolds Arcade, it included a meeting room and a small reading room with a library, provided by Abelard Reynolds. Though small in 1829, could it have offered what Joseph needed, just in the nick of time? The first meeting of the Athenaeum was held on June 12, 1829 and Nathaniel Rochester was chosen as the first president. For a $5 annual fee, individuals could use the Athenaeum's space in the Reynolds Arcade building for private events. More importantly, however, they could use the organization's collection of books and journals. These materials were not limited to the field of science, but spanned a variety of subject areas. On February 12, 1830, the Athenaeum was granted a charter from the State of New York, with the stated purpose of "cultivating and promoting literature, science and the arts." Grunder's theory could be even more beautiful if he would but speculate that Joseph was there at that first meeting, perhaps with Solomon Spaulding, gleefully discussing Book of Mormon lore while picking up story tips from his fellow literati as they scanned rare European maps of Arabia and then watched sunset on a walk across the aqueduct while holding on to the iron rod as they crossed the misty river and tried not to fall into the gulf of misery and woe. Sadly, whatever treasures the Athenaeum had or would one day have, they probably were not available to Joseph. Like a variety of other libraries in the US at this time, this was not a public library where any farm boy could wander in and handle rare maps of Arabia, if one imagines that the Atheneum had such things. Joseph had just recently struggled to get money to buy paper for the translation process. He and Oliver had been short on food. He was relying on a mortgaged farm from Martin Harris to pay the overwhelming cost of printing the Book of Mormon. I don't imagine he was ready to spend $5 in 1829 dollars to pay an annual fee to access a fledgling library that he had nearly no time to enjoy. The Athenaeum is simply not a promising candidate for Book of Mormon origins. But could the Arcade itself have played a pivotal role? The "nick of time" part is where we still run into some difficulty. Did Joseph actually visit Rochester before he had completed Lehi's dream in the early chapters of 1 Nephi? June was a pretty busy month for Joseph and I don't think there is adequate time in Grunder's scenario for a June Rochester trip followed by frenetic translation of almost the entire small plates of Nephi. First note that chronologies of the translation of the Book of Mormon put its completion around July 1 or the end of June. For example, David Whitmer said that “The translation at my father’s farm, Fayette Township, Seneca County, New York occupied about one month, that is from June 1, to July 1, 1829” (Kansas City Daily Journal, 5 June 1881, as quoted at FAIRMormon). On June 11, Joseph, possibly through the work of Martin Harris, applied for a copyright for his book to help protect his rights, a process that required filing the printed title page of the Book of Mormon in a distant copyright office in Utica, New York, about 120 miles from Palmyra, as detailed by Michael Hubbard MacKay and Gerrit J. Dirkmaat, From Darkness Unto Light: Joseph Smith's Translation and Publication of the Book of Mormon (Provo, UT: Religious Studies Center, BYU and Salt Lake City, UT: Deseret Book, 2015), p. 164. The title page of the 1830 Book of Mormon makes it pretty clear that the account of Ether and the burying or sealing up of the plates had already been described, so it's fair to say that the translation of 1 Nephi was already underway by that date. A key question is when did Joseph go to Rochester and how much remained to be translated when he went? THE LATEST COMPARISON OF ORIGINAL SOURCES suggests that Joseph Smith and Oliver Cowdery were not settled in the Whitmer cabin to begin this part of the dictation until about June 5 (EMD 5:417, detailed chronology assembled from extensive documentation). Very shortly thereafter, they visited the Grandin printing shop in Palmyra. Then Joseph went on to Rochester where he was reported again almost immediately with Martin Harris. The negotiation with printers did not initially require Joseph to abandon the work of translation, for he sent Martin Harris to Palmyra "by early June, and possibly before" with a manuscript copy of the title page to use in negotiations (MacKay and Dirkmaat, p. 165). Martin met with Egbert B. Grandin in Palmyra. The man who became the typesetter, John Gilbert, reported that it was in early June when Harris and Grandin met (see Gilbert's 1892 typescript memoir, "Recollections of John H. Gilbert [by himself]," archived at BYU). Grandin was skeptical and refused to take on the project. Grandin would publish an article on June 26, 1829 mocking the Book of Mormon project as the "result of gross imposition, and a grosser superstition," showing that at this time in late June, Grandin was not seriously considering taking on the publication task at this time. After Grandin's rejection, Joseph and Martin together sought help from others in Palmyra, without success. In June, 1829, Smith and the prophet, his brother Hyrum, Cowdery the scribe, and Harris the believer, applied to Mr. Egbert B. Grandin, then publisher of the Wayne Sentinel at Palmyra (now deceased), for his price to do the work of one edition of three thousand copies. Harris offered to pay or secure payment if a bargain should be made. Only a few sheets of the manuscript, as a specimen, with the title-page, were exhibited at this time, though the whole number of folios was stated, whereby could be made a calculation of the cost. Mr. Grandin at once expressed his disinclination to entertain the proposal to print at any price, believing the whole affair to be a wicked imposture and a scheme to defraud Mr. Harris, who was his friend, and whom he advised accordingly. This suggests that the manuscript, of course, was nearly complete and Joseph at least knew how many more pages of text would be needed to complete the translation. Is this consistent with theories that suggest Joseph was ready to start creating major, lengthy new sections on the fly? Yet it appears there may still have been some translation to be done, so some additional content may have been forthcoming in the final days of June. More recently, however, MacKay and Dirkmaat in From Darkness Unto Light state that Joseph Smith and Martin Harris decided to visit printers in Rochester, "likely arriving in Rochester sometime in July" (MacKay and Dirkmaat, p. 168, emphasis mine). After several days discussing and negotiating with printers in Rochester, Elihu Marshall agreed to take on the project. This was not yet a good solution for Joseph, though, who would have a hard time staying close to the work in a town almost 25 miles from Palmyra, but the offer from Marshall gave him standing to renegotiate with Grandin, who now realized that someone was going to print to the book after all, and he might as well be the one to get the work, but under rather harsh terms (MacKay and Dirkmaat, pp. 168-175). According to MacKay and Dirkmaat, "While it is not known definitively when the men settled on terms with Grandin, by 11 August 1829, Jonathan Hadley reported in his paper that the Book of Mormon was 'soon to be put to press' in Palmyra rather than in Rochester" (p. 175). A chronology at FairMormon also puts the Rochester visit in July 1829, with the Grandin deal being finalized in August. In the widely cited and detailed Book of Mormon chronology compiled by Eldon Watson at http://www.eldenwatson.net/BoM.htm, the Rochester trip does not appear to take place in June at all, which is packed with Book of Mormon translation work. In that chronology, 1 Nephi 11 is completed by June 7, 1829. Later, 2 Nephi 27, giving details about the three witnesses, is estimated to be translated on June 20, giving rise to the three witnesses event near the end of June. Whether Rochester was visited in mid-June or in July, Watson's chronology leaves no room for speculating that something on that trip was a catalyst for material in 1 Nephi 8 and 1 Nephi 11. Lehi's vision was already described. As for the Rochester trip, July makes more sense to me. A problem with a mid-June date for the Rochester trip is that the subsequent negotiations with Grandin take place later in July (being finalized as late as August), and the significant events with the three witnesses and the eight witnesses take place near the end of June. If a bid from Elihu Marshall was obtained in mid-June, why the lengthy delay in getting back to Grandin, having won an all-important competitive bid that would enable working with a printer much closer to home where the security of the manuscripts and the details of the work could be adequately supervised? If the issue of finalizing the printing plans was important enough for Joseph to delay the translation project in mid-June, why not follow-up immediately with Grandin upon returning from Rochester? Arriving in Rochester in July means that Joseph wasn't interrupting his urgent translation work to travel to Rochester. "Socks first, then shoes. Write first, then print." It would mean that he was probably done with the translation and would be able to soon provide the initial pages of the manuscript (which Oliver would be working on rapidly in July, producing the Printer's Manuscript) once the printer was secured. In this scenario, if accurate, no matter how impressed Joseph was by the 4.5 stories of the Arcade, or any other tall building in Rochester, complete with nearby iron rod, a river, and fruit trees in the region, it would be too late to start dreaming about how to use that material in Lehi's vision. It was already in ink. The "nick of time" problem isn't resolved by a June visit to Rochester, if it turns out that his visit was much earlier than July after all, early enough somehow to have preceded the account of Lehi's vision in 1 Nephi 8. Making up the books of Nephi on the fly to incorporate newly encountered scenes from Rochester leaves us with numerous problems. First, the record of Lehi, which was in the 116 lost pages that could turn up at any time, as far as Joseph knew, most likely contained some aspects of Lehi's vision, for it is in the midst of Lehi's discussions after his dream and just before Nephi's own version of that dream that Nephi tells us that the many details of Lehi's preaching at this time are given in the large plates plates (1 Nephi 10:15). Nephi also tells us in the midst of Lehi's dream-related account in 1 Nephi 8:29 that he is not going to write all the words of his father on this matter, which follows 1 Nephi 1:17 where Nephi explains that he is abridging the record of his father and then will give his own record. The lost 116 pages should have more details from Lehi's visions and preaching, not much less than Nephi's abridgement. The same should apply to details of life and struggles along Lehi's trail, including details that one might allege could come from a map. This is a point to emphasize. The material about Lehi's vision and Lehi's journey was very likely already on the lost 116 pages and not something Joseph could conceivably make up on the fly. If Joseph were a con man making things up and fooling his scribes, Lehi's vision -- and the gist of the travels through Arabia -- can't be freshly concocted at this stage or else his own scribes and whoever may have had the 116 lost pages could cry foul. Innovations from a mystery map in the Arcade doesn't help, nor does inspiration from four stories of spaciousness at the Reynolds Arcade. None of this is in the nick of time in any scenario. the tree of life (though this is an important theme from Genesis as well) and its fruit (e.g., Alma 5:34, which juxtaposes the fruit with the waters of life as well). "mists of darkness" in 3 Nephi 8:22, part of the destruction accurately prophesied by Nephi. 1 Nephi and the experiences and teachings along Lehi's trail are artfully woven into the Book of Mormon. The Liahona plays a critical role. The basic story line with Nephi, Lehi, Laman, Zoram, etc., is already woven throughout the book in numerous references, as is the basic idea of their exodus from Jerusalem in a difficult trek that would take them to the New World where the Nephites will again apply the name Bountiful from Nephi's account. The sufferings during that trek, which, contrary to Grunder, who only equates Nephi's "wilderness" with the verdant, moist territory around Palmyra, did include thirst (Alma 18:37 and Alma 37:42) and did include many details consistent with a record from someone who had crossed Arabia as described (see my "Technicolor Dream Map" articles). While Grunder thinks Nephi's use of "wilderness" and his failure to use the word "desert" means Joseph was just thinking of the green, moist wilderness around his home when writing the Book of Mormon, if only he would take off the blinders he might see 1 Nephi offers much more than anything Joseph could have dreamed up based on New England terrain. RT had a similar objection that I treat in Part 1 of the Technicolor Dream Map, point #34 in the brief responses to RT, where I point out that the word "wilderness" in the Book of Mormon is an appropriate translation for at least two commonly used biblical Hebrew terms that are sometimes also translated as "desert." In fact, as the group came to the southern end of the Dead Sea, they would encounter the wide rift valley of Arabah, a name that actually means wilderness, just as Nephi had recorded. There are many further details to consider. For example, as members of Lehi's family moved back and forth in the Jerusalem area, the use of "up" and "down" is always perfectly consistent with the real terrain. But the real excitement comes in recognizing that the now plausible description of once-ridiculed, "impossible" places like the Valley of Lemuel and Bountiful, along with accurate, plausible directions, and the impressive archaeological confirmations for ancient Nahom, even coupled with a Hebraic word play, add layers of ancient reality to Lehi's Trail that have no relationship whatsoever to Joseph Smith's local terrain. That's why the leading critics and skeptics insist there must have been help from a map and perhaps many other sources to even get a few of those many things right. To me it's rather extreme to speculate that significant portions of the writings of Nephi et al. were concocted on the fly in late June, in part inspired by a newly encountered building, resulting in pages of new text hastily tossed into the manuscript just in time for printing. But some theories are too beautiful to drop. Bob Marcotte, "Reynolds Arcade," "Retrofitting Rochester" series in partnership with the Office of the City Historian of Rochester, Democrat and Chronicle, Rochester, NY, 2012. A good overview of the impressive four-story building that would be an important part of Rochester life for many years. "Walking Tour of Rochester's One Hundred Acre Plot," LowerFalls.org. This features several photos and drawings of the Reynolds Arcade and other prominent buildings in Rochester, with some history. 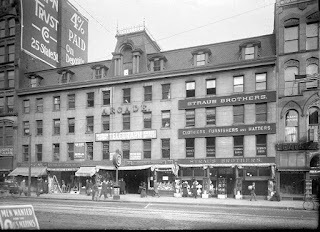 "Reynolds Arcade," Libraryweb.org, Monroe County (NY) Library System. Several historic views of the Reynolds Arcade. Diane Shaw, City Building on the Eastern Frontier: Sorting the New Nineteenth Century City (Baltimore: Johns Hopkins University Press, 2004), pp. 124-130 (viewable at Amazon). Shaw points out that the glass roofing shown in some photos is from a remodeling effort long after Joseph might have seen the building. Rick Grunder, "The Great and Spacious Building," guest post at World Without End, April 27, 2015. A beautiful theory, but best served with a great and spacious grain of salt. When Joseph Smith finally received the gold plates from the stone box that had been buried on the tiny hill we now call th Hill Cumorah, he did not bring them directly home, but hid them in a log since he did not have anything to cover them or store them in. In Chapter One of From Darkness unto Light (Provo, UT: Religious Studies Center, BYU and Salt Lake City, UT: Deseret Book, 2015), Michael H. MacKay and Gerrut J. Dirkmat describe the pains Joseph took to properly protect the plates now that he had received them. His first task, then, was to seek a wooden box to put the plates in. The lack of a wooden cabinet tells us something about the plates. So does the lack of paper that later hindered the translation process. In Chapter Eight of the same source, MacKay and Dirmat explain that the paper that Joseph and Oliver had received as a gift from Joseph Knight Sr. had run out, and thus the translation process faced a roadblock. Out of money and supplies, Joseph and Oliver left Harmony, PA and traveled 20 miles to reach the Knight home in Colesville, only to find that he had left on business. They returned still without paper for their work. Joseph and Oliver had no choice but to stop the translation process to look for work in order to get funds for paper. But they were unsuccessful in finding work, and were now empty-handed and hungry. Fortunately, Joseph Knight came to the rescue, bringing generous supplies and paper, and the work continued. As someone in the forest products industry, the role of two forest products in the Book of Mormon story intrigues me. The Book of Mormon project was hindered twice due to the lack of needed forest products. The lack of a wooden box to protect the plates (but special thanks to the tree that served as a temporary storage place!) and the lack of paper for the translation process. Detail after detail around the translation process supports the reality of the plates and of the oral dictation of the Book of Mormon. Joseph was not a front for a smooth, well-financed operation to deceive people. He was not working off a carefully drafted manuscript that he or someone else with plenty of paper had been crafting for years. He was not dealing with visionary, floating plates, but with real ancient plates that needed a real wooden box in which to be carried safely. Plates that could be hefted and touched. And for both the box and the paper, Joseph was willing to drop everything to go work in order to afford a simple item that he needed. This is a gritty, granular story that doesn't fit common theories of fraud. Paper and wood tell us something about the metal plates of Joseph Smith. For those of you who recognize the huge impact of the Chinese economy on the global economy, I'll share some good news and bad news. First, the good news is that China shows many signs of vigor and strength in spite of a slowing economy. However, the bad news is I'm uncertain how well China can cope with economic reality when the current real estate bubble corrects. Will it be a gentle correction, or a painful one that sends shock waves around the world? I think regulators here will go all out to keep it gentle, and I hope they succeed. But from my perspective, China's housing market may be in a bubble, especially in top-tier cities like Shanghai, and a correction could be painful. But if there is no correction, the pain will be even greater for the lower income citizens who can't afford skyrocketing rent. Here's hoping that nothing goes wrong and all the conflicting forces resolve smoothly in universal harmony and happiness and that nobody gets burned and impoverished in the process. Well, one can hope, right? The real estate market here seems to share some of the same excesses that the United States had in its government-driven real estate bubble shortly before the subprime mortgage crash in 2007. Here in China, we have a flood of newly created cheap capital flowing into the market at low interest rates for easy loans. We find unusual business models popping up to exploit the cheap credit and drive up housing prices and demand. What is happening is not sustainable and arguably represents a huge misallocation of capital. The problem could get much worse, as it has in the United States, through vigorous government "help." The help often alleviates the short-term pain of some parties while making the long-term problem more dangerous, one of the hallmarks of big government and highly educated economists. Easy credit from the banks of China and China's equivalent of "quantitative easing" have been used to stimulate the markets, just as was done with little success in the U.S., Japan, the European Union and Zimbabwe (before their cataclysmic crash with hyperinflation and economic chaos). Initially much of the new money being created was being used to drive the Chinese stock market. As that bubble popped, wealthy Chinese looked again to real estate as the traditional safe way to make lots of money. In popular cities, home prices have shot up. In Shenzhen, housing prices show a 57% increase over last year. That's an insane rate showing something is wrong. Owners of apartments until recently were not too concerned about rental rates since they real money were making was coming from rapidly appreciating property values in cities like Shanghai. But with fear that recent rises were no longer going to be sustainable, rental prices are now getting more emphasis. This appears to be driven in part by the very large-scale actions of a giant force, the real estate company Lianjia (United Homes), according to a friend of ours who is a real estate agent. Lianjia is a respected heavyweight in the market. It has somehow managed to obtained huge capital reserves that it has used to buy up many former competitors, giving them a stranglehold on the real estate business, at least in terms of the agencies and agents that buyers, renters, and sellers use for transactions of homes and individual rental units. According to our friend, they are also using large amounts of capital to make loans to customers who otherwise might not be able to afford the down payment of a new property. Further, they are actively working with property owners to push for significantly higher rental values. This increases their commissions and also make landlords happy. I am not saying this is unethical, just that it is bold and seems to require easy capital to keep the momentum going. In spite of a slowing economy in China, many renters are reporting significant jumps in rent this year, at least here in Shanghai. Our landlord, for example, wanted to increase our rent by 33%. Since we take good care of the place and don't make many demands, though negotiation, she was willing to sacrifice to help us by just asking for a 24% raise in rent instead. But she has agents from Lianjia calling her and saying she could be getting 33% or even 40% more. This seems to be happening all over the city. In looking for new, more affordable apartments, my wife found that when she went to the nearby Lianjia office and asked for places with a price similar to what we have been paying the past year, they said it wasn't possible and that we would have to pay a lot more to get a place with the features we now have. When we went to one of the increasingly hard-to-find non-Lianjia dealers, we learned that there certainly were places in our price range that could meet our needs. While my wife and a non-Lianjia agent were looking at one apartment priced at 14,000 RMB, a Lianjia agent came to the same place with a Chinese girl who was looking to rent. She liked the place and asked how much it was. My wife heard the Lianjia agent say it was listed at 18,000, a full 4,000 RMB above the actual asking price. The girl was shocked and wondered how it could be so expensive. She turned to the agent my wife was with and asked what price he had been told. Not wanting to make another agent lose face, our agents just nodded his head and said it was 18,000. But this apparently was Lianjia's attempt to drive up the price. Ugly. That may be a rare exception, but our non-Lianjia realtor also confirmed that Lianjia is aggressively talking up the prices. By offering easy loans to customers who might not otherwise be able to get one, and by collaborating with landlords to drive prices up, the rental market in Shanghai has been booming at a crazy pace, the kind of pace that looks like a classic bubble. The housing bubble is already popping in Hong Kong, with a significant drop now in housing prices since the Sept. 2015 peak, said to currently be in "free fall." That cold front may soon sweep northward to cities like Shanghai. In bubble economies, it's hard to tell precisely when the insanity will stop. With abundant injections of cash and other policy actions, the government could keep driving up prices for a while, but eventually (what, two more months? maybe six? a year?) economic reality has to kick in, and when it does, it can be painful and sudden. The bigger the steps taken to keep the bubble going, the worse the pain will be and the longer the correction will take. What to do? Be prepared for trouble. Get out of debt. Have cash on hand to keep you going for two or three months in case there is a run on the banks (the available currency in the US is a tiny fraction of the vast amount of digital money that has been created, and if banks fail or are hacked, turning those digits into something you can spend may be a challenge that faces many delays, not to mention massive threats of hacking). Physical cash on hand may be an important part of your survival kit. Food and other supplies, and some gold and silver coins or bullion, may be a good idea. By the way, in my last post for the Nauvoo Times back in January 2016, I mentioned that I thought the precious metals market showed signs of being a great time to buy. Gold was then below $1100/ounce and silver was around $14/ounce. Those who took that advice have seen some strong gains. While there may be another dip coming up now, I think in the long run this is still an excellent time to make sure you have part of your portfolio backed by genuine precious metals, but not the fake paper stuff that many companies sell. If you can't own the physical stuff (hard for foreigners here in China to do that! ), you can invest in funds such as CEF (Central Exchange Fund of Canada, NYSE: CEF) which is backed by actual bullion, a favorite investment of mine. 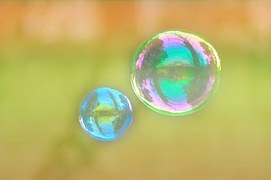 But first make sure you have some cash on hand, and then make sure you have some ways of preserving wealth when bubbles pop or electric accounts are sealed, hacked, or frozen. The tsunami of insane debt that our government has created coupled with insane artificially low interest rates (even negative rates now in Europe and Japan as part of the war on savings and the war on cash) is driving many bubbles that won't be pretty when they pop. So be sure to have a good food storage plan. And get all the education you can. Good luck! One of the awkward things about bathrooms in China is that there is less privacy than we Westerners tend to like. Floor to ceiling windows may be next to urinals. There may not be a door where we would normally have one. In some areas, cleaning ladies may roam in and out of men's bathrooms. But there does seem to be the widespread, common-sense recognition that men do not wander into women's bathrooms. There is a basic understanding that male pedophiles and perverts in women's bathrooms or locker rooms would put women and girls at risk. That level of sanity does not seem to exist among certain extremists in American politics. All those folks who say they want to "keep the government out of our bedrooms" seem quite happy to have the troops march into our bathrooms and compel us to accept new norms. I woke to the news that the head of the ever-swelling Executive Branch of the US government issued a decree, wielding usurped power that is nowhere present in the US Constitution, telling America's schools (in effect) that they must not "discriminate" against certain males who want to walk into girl's bathrooms and locker rooms (provided they claim that they identify with the gender they wish to target--there is no way to easily verify the sincerity of someone's claim). The child safety issue has properly been raised over the related controversy in North Carolina and needs to be front and center here as well. What kind of perverse insanity is this? Various extremist groups have already applauded this move. Millions of Americans will now be browbeaten into silently accepting this setback in privacy, morality, and child safety as "progressive," with resistance being decried as bigotry, intolerance, or even racism. Whether you are concerned or not about the risk of pedophiles or perverts in bathrooms and locker rooms, to me a bigger question is whether we are concerned about the ability of one man to issue decrees that overturn state or federal laws? The US Constitution is based on limitation of powers. Power is supposed to be retained by the States or the people unless expressly given to the federal government, and then those federal powers are limited, specific, and divided. It is Congress, not the President, that passes laws. To forget this, to give the Party a pass, is to enable a future, more outrageous decree. What's next? A decree that since his year's presidential campaign has become too divisive, that we now need to bring the nation together by postponing elections indefinitely and making our leader Commander for Life? This has happened in pother nations. What makes you think it cannot happen here? If a Presidential decree can override Parenting 101 (potty training basics), why not everything else? Bathroom policies are just the kind of thing that should be left in the hands of local people, not the federal government. But if it is a federal issue, then it's Congress who should act. Does anybody remember this anymore? Are we that far gone? Those parents who have been homeschooling their kids over concerns about the lack of moral sanity in the schools are looking a lot smarter now. (For most of them, their kids have been looking a lot smarter already, based on what I've seen of their academic performance.) Recent concerns about the safety of children in an "anything goes" environment are looking a lot less paranoid. I salute you homeschoolers for your prescient concern for your children and mourn the failure of public education. I mourn its failure in America to provide a safe place for children to actually learn, without having to suffer at the whims of completely out-of-touch politicians who seem to value progressive theory and political paybacks more than child safety. My wife and I had the pleasure of attending a multi-district youth conference in Hong Kong over the three-day weekend we just had in China. On Sunday night at the large LDS building in Wan Chai, Hong Kong (14 stories tall! ), right before the testimony meeting for the youth was about to begin, a very nice LDS man from the Hong Kong area asked me if I was in the Shanghai District presidency, and would I be willing to sit on the stand with him and other leaders during the testimony meeting. "I guess so," I replied, "but first I need to do some dumpster diving." Earlier that day, the 100+ young people from five districts across China did a service project on two floors of the Wan Chai building in which they cooked a delicious for two large branches of sisters from the Philippines who work in Hong Kong as maids, trying to make money for their families back home. There are many hundreds of LDS women from the Philippines working in difficult circumstances in Hong Kong. They spend their lives serving other people with little rest. On Sunday, they got to experience having someone else serve them for a change, and I was stunned by how excited and grateful they were. Giggling, exuberant, talkative, and just so much to be around. It helped that the food we cooked was well planned and really delicious, and it helped that leaders who knew and loved the Philipinas helped guide the event. It also helped that the youth were spread out across the dining hall so they would talk to and learn from the sisters they were serving. What awesome fun this event was! The Philipinas love to take pictures, so we had two cool backdrops set up to facilitate photography. They were provided by a sister in one of the Hong Kong branches or wards, made by her daughter. Unfortunately, during clean up, they were rolled up and thrown out with the trash. When I learned of the problem and saw the frustrated look on the sister's face who was hoping to take the backgrounds back home, it seemed like a little dumpster diving was in order, though I worried that the odds of finding the remnants of the background would be low and that they would probably be ruined. Still, I wanted to try. After I explained the situation and the reason for "dumpster diving," how surprised I was when the man who invited me to sit on the stand volunteered to lead the charge toward the dumpsters right before the meeting was supposed to start. He knew where they were and took me and another man from Beijing straight there. He was in a very nice suit, unlike my cheap one (about $150, tailor made at the South Bund Fabric Market in Shanghai, one of many important stops for your next trip to China!). I could see that this was a man for whom service came naturally, even when messy. He brought us to the dumpsters and opened them up. Fortunately, before anyone had to get dirty, the leader from Beijing, Brother Sevy, spotted a clean, dry box with the sought-after treasure. The backdrops had been rolled and folded, and were not covered in remnants of curry chicken and rice. We unfolded them, rolled them properly, and soon had them back in the hands of the smiling sister who had loaned them for our activity. Whew! Only after we got to the stand did I realize that the dumpster-diving Mormon who helped us recover our treasure from the trash was President Tai of the Hong Kong Area Presidency. Elder Benjamin Ming Tze Tai is one of the new Area Authorities who was just sustained in General Conference. Such a kind, sweet, and professional man. It's people like him that make it such a pleasure to be part of the Church and to rub shoulders with its leaders, even when that occurs in a Hong Kong dumpster.